The stuffy Stoughton Dennis, a surveyor by trade, considered himself to be something more, to be, in fact, a thoroughly competent and capable military leader. In this, he was deluded, but late in 1869, as the Red River rebellion was unfolding, unfortunate circumstances combined to vest him with the military command of the pro-Canadian forces in the North-West, a command which (to be kind), he discharged less than well. Many of the errors he made during the turbulent days of December 1869, seem, in the light of his earlier military experience against the Fenians in 1866, to have been quite predictable, and Dennis has largely deserved the bad historical press accorded him over the years. Still, in 1869 he was as much the victim of circumstances as of his own shortcomings. Yet little or no attempt has been made to understand the difficulties of his position. A balanced assessment of his role in the events of 1869 is overdue. Peace-time honours came easily to Dennis, but he must have been uncomfortably aware that the proof of a soldier’s merit lay on the battlefield, for he craved the opportunity to test his mettle under fire. In June of 1866 when the Fenians crossed the Niagara River, seeking to capture the Canadas and hold them ransom for Ireland, he somehow secured command of the 480 officers and men of the Queen’s Own who had been despatched to the front, though he had had no previous association with them! The unceremonious shunting aside of their regular commander and the sudden elevation of Dennis “created an unpleasant feeling” in the regiment. Despite this, Dennis now had the opportunity to demonstrate his military prowess, and the demonstration was to foreshadow in many respects his performance in 1869 in Red River. On the second of June, while Dennis and company steamed up and down the Niagara, Booker’s force, enroute to join Peacocke’s, was attacked and scattered by the Fenians. In this, the battle of Ridgeway, Booker lost ten men and provided the Fenians with their single great victory in their sorry struggle with England. Once the invasion had collapsed, and Canada West had been rid of the Fenians, and captured militiamen freed, Dennis faced several irate former subordinates. Captain McCallum, for one, informed the militia authorities that at Fort Erie Dennis had exposed his men to unnecessary risk and, insinuated that the Colonel had acted cravenly. For another, Captain King, who had lost a leg while serving with Dennis, publicly labelled his superior “a coward” and a “Poltrooney scoundrel.”  Accordingly, Dennis asked that a court investigate the accusations levelled, and, though the authorities evidently felt that no case could be made against him, they established a court of inquiry. Yet, Denison’s appreciation of the military talents of the man who was to play such a prominent role in the early stages of the Riel rebellion was not unjustified. The Fenian episode had proved him impatient of restraint, and demonstrated that he was capable of committing himself and those in his command to action without first carefully considering all the ramifications of that action. The encounter at Fort Erie suggested further that, once the measures Dennis had adopted proved ill-advised and potentially catastrophic, he was alltoo inclined to turn tail and to extricate himself, giving little thought to his men. Many of these characteristics were to surface again in 1869. Dennis knew that the Métis riverfront strip farms would not mesh with a grid survey system, and the plan of survey he forwarded to McDougall, though based on 800 acre sections, proposed no surveys along the Red and Assiniboine rivers where the Métis farms lay. He instructed his surveyors not to work in any part of the settlement occupied by the Métis. Also, he informed McDougall that he had taken every opportunity to impress upon the half-breeds and the Indians, the government’s intention to deal honourably and equitably with them. However, if the threatened violence did materialize, he intended to take his surveyors out of the field immediately. Clearly if an incident occurred in these circumstances, it would have to be a manufactured one. Unfortunately, after the interruption of the surveys, Dennis increasingly aligned himself with the Canadian party in Red River. In fact ever since his appearance in the settlement, Dennis had been regarded in many quarters as a political partisan, since he had arrived in company with Dr. John Christian Schultz, a bluff. imperious, overbearing Canadian, who made no attempt to disguise his conviction that he, and other Canadians like him, were destined to control and direct the future of the colony within the Canadian Confederation. And to make matters worse, Dennis had lodged in the Schultz home. These facts later led Sir John A. Macdonald to assume that, from the outset, Dennis had erred in striking up a too close association with the controversial doctor. In any case, the three decided that the authorities must take “immediate and vigorous action” to forestall the “intended outrage;” and they informed Judge Black of their conviction. Indeed, through Black, Dennis was ultimately successful in securing a meeting of the Council of Assiniboia, to consider how to prevent McDougall’s expulsion. And Dennis was prepared to entertain a provocative scheme advanced by William Dease, a French half-breed opposed to the Riel parry, to force McDougall’s way into the colony with Dease’s men. Still, Dennis was not devoid of reason and good sense. On hearing the erroneous report from Dease that McTavish had essentially agreed to Dease”s plan, Dennis advised McDougall by mail to stay put on the American side of the border until real support had materialized for him in the colony. Whatever Dennis’ advice, the Council of Assiniboia decided on October 29 to counsel McDougall not to enter the colony while conditions were so unsettled. Dennis offered to take this sage advice, contained in a letter from McTavish, to the Lieutenant-Governor designate. He volunteered because if he carried the message he could be certain it would reach its destination and because he would also be afforded an opportunity of briefing his superior personally on the situation in the settlement He was entrusted with the letter, and, guided by an English half-breed, William Hallett, he skirted the Métis roadblocks and met McDougall in Pembina on November 1. When McDougall read McTavish’s letter, he found that those on the Council of Assiniboia who were aware of Dennis’ analysis of conditions in Red River concurred heartily with it. He found, too, that McTavish deemed Dennis’ advice that he remain at Pembina until it was safe for him to enter the territory “sound and judicious.” The governor explained that he and the Council were not prepared to ask the settlers of the colony to turn out to assist McDougall, in case such a call precipitate “a collision between different sections of the people,” leading to “all the disasters of a war of races and religions.” Dennis, who perhaps had changed his mind yet again, seconded the conclusion of McTavish’s despatch, telling McDougall that he could count on the support of the Canadians in the colony, but that these, unfortunately, were few in number and scattered about the country. Dennis asked McDougall’s permission to return to the colony. He felt that once in, if he did not interfere “in any way with the refractory party I might probably be allowed to go on with my duties without being molested,” but McDougall refused the request. Indeed, the latter, unaware of Ottawa’s deep desire that he refrain from forcing the situation,  and unaware, too, that Ottawa intended not to proceed with the transfer of the territory until it was tranquil, intended making Dennis a vital tool in the subduing of the supposed rebels. Through November Dennis was in touch with the “Friends of Canada” in Red River, on the one hand receiving information,  and on the other attempting to correct mistaken impressions about McDougall’s mission. In all this, McDougall formed a good opinion of his subordinate, considering him a valuable asset, especially since he was “acquainted with the leading men of the Settlementstands well in their estimation, and knows the country.”  Dennis, McDougall concluded, could be entrusted with a dangerous and delicate mission. Actually, Dennis’ experience at Fort Erie should have suggested to McDougall that his Conservator of the Peace, when armed with military authority, found it difficult to act with “discretion.” Chances were he would choose to invoke his authority Indeed, Dennis must have been pre-disposed towards rallying the so-called loyal of the colony by the knowledge that, if he raised a force, McDougall himself was prepared to seize the Hudson’s Bay fort north of Pembina and defend it against all comers! Furthermore, word from Red River already had it that “the English” of the settlement were so fearful of “the French” that they would heed any call made “with authority” summoning them to subdue the revolt. And the Colonel’s initial contacts in the colony confirmed that report. Convinced that “the Insurgents would seize upon the Stone Fort (Lower Fort Garry), so soon as my arrival and the nature of my orders became known:” Dennis hurried to that stronghold, some twenty miles north of Winnipeg, arriving there about 6 P.M. on December 1. He showed the master of the fort his commission, thus securing the eager co-operation of that officer. By eight that evening he had “some 70 young men assembled;” he then gave them an hour’s drill and formed a guard for the fort. Aside from mustering the Indians, Dennis made further preparations for hostilities. On December 2 he arranged for his presence in the fort to be broadcast throughout the settlement, and he officially informed Governor McTavish of his commission and of his actions under it. Too, he spent some time with Judge Black, consulting with him about the advisability of proclaiming martial law, so Dennis could seize an American troublemaker, Enos Stutsman. Black did not care for the idea (Prime Minister Macdonald was to think it “a bit of frenzy”), and asked Dennis not to implement it for a few days. Stoughton agreed, but privately resolved to proceed “so soon as I may have a force to back me up.”  And Dennis spent a good part of the day taking measures to acquire that force. Source: Archives of Manitoba, Peguis 1, N17188, Colour print of oil portrait by Wm. Tkach. At 3 A.M. on the morning of the seventh, Dennis sent off a message, via Mrs. Black. to Schultz and his comrades “telling them of my inability to relieve them, and that if obliged to surrender, they must only get the best terms they could.” On receiving this gloomy news, the doctor and his men asked Riel for permission to retire with their arms, but had to settle, instead, for “an unconditional surrender, with the stipulation” that their “lives be spared.” The prisoners, fifty-six in all, were marched off to Fort Garry, where they “spent the greater part” of their first night “singing songs.”  Their festive mood was not to last. In Winnipeg, on the ninth, the members of Snow’s road-building party were captured by the Riel forces and confined in Fort Garry, along with Schultz and the Canadians. The next day Dennis heard the report that in Winnipeg “the French” continued “to arrest Canadians wherever they find them.” Obviously the situation was quickly deteriorating, and since he then knew “there was no prospect of getting the French leaders to agree to a meeting,”  the Colonel decided to act in a fashion reminiscent of his actions during the Fort Erie incident when he had managed to extricate himself, but had left many of his men within the Fenians’ grasp. It came to pass one morning that Col. D. was not at breakfast and all inquiries brought only vague replies. There was a general uneasy feeling and suspense brooded over the place till next day at dinner time. Then Mr. Wm. Watt, the Hudson’s Bay factor, read a letter from Col. Dennis telling him that he had gone across the country to Pembina, that he would no longer be responsible for the board of the men he left behind him and that each must look out for himself. Actually, Dennis, who left the fort at 2 A.M. on Saturday, December 11, had ordered the payment and discharge of the volunteers,  who were entitled to the pay and the supplies of militia volunteers in Canada. He also left detailed instructions for the disposition of the supplies collected, and had told surveyor Hart that, after seeing to these instructions, he was to return to his normal work, being careful not to survey “beyond the limits of the English portion of the settlement.”  Later, he ordered Webb to proceed with the surveys. Curiously Dennis seems to have expected that, after his flight, life would go on much as usual in the colony. From Portage, Dennis and a guide set off southward early on the morning of December 12, arriving in Pembina on December 15, “dispirited but not dishonoured,” as one follower thought,  though not all would have agreed. The Colonel brought McDougall, who had heard reports of the imprisonment of Schultz and his men, full particulars of the unhappy events in the settlement. These persuaded McDougall to leave for Canada, but he was anxious that Dennis accompany him to help explain the course of events to the government. 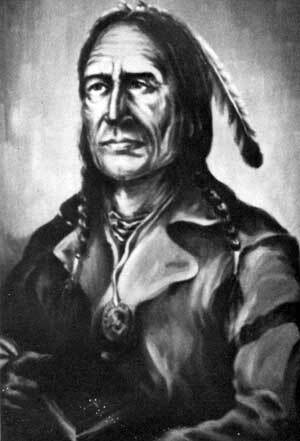 Consequently, the two set off on December 18, but not before taking steps to ensure that the Indians of the North-West would be friendly to Canada, come spring, when the two expected that a military expedition might well be on its way through Indian lands to the Red River settlement. Dennis did not, however, as has been alleged, seek to “organize whatever Indians he could for an assault on the French Métis of Red River,”  but merely tried to ensure that the Indians would join the anticipated Canadian force. The rebellion did have some long-lasting effects on Dennis. For one thing, it ended his relationship with John Christian Schultz. The two men had “a frank and free conversation” in 1870 over their respective roles in the events of 1869 which ended their friendship and in later years this led to a vindictive and bitter effort by Schultz to damage Dennis’ career. In spite of everything, though, 1869 did not finish Dennis’ prospects. For, whatever his military capabilities, he was a good, competent surveyor and an able, efficient administrator. Despite the imbroglio of 1869, his men in the North-West had run 182 miles of meridianal lines and surveyed 20,000 acres on the west side of the Red and on the north bank of the Assiniboine rivers, ascertaining “present actual boundaries (but making no change whatever).”  It was not their fault, nor Dennis; that their activities had helped precipitate confrontation in the North-West. The Colonel survived the notoriety of 1869 to be appointed, on March 7, 1871 Canada’s first Surveyor-General, ironically just in time to agree to the Macdonald government’s decision to reverse its consent to his earlier recommendation that the sections of the North-West be 800 acres in size. Still, as Surveyor-General, Dennis performed solid, useful serviceso much so that Macdonald, who had found him so sadly lacking in tact and judgment in 1869, was persuaded to appoint him his Deputy Minister of the Interior in 1878. 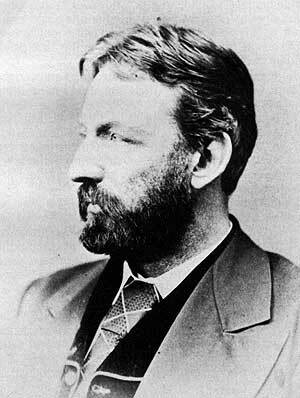 McDougall’s Conservator of the Peace thus survived the difficulties of 1869 well, eventually received a C.M.G. for his services to the Dominion. Just as the fiasco he had helped manufacture at Fort Erie in 1866 proved no bar to his surveying appointment in Red River in 1869, so the impasse he helped produce there did not prevent his elevation to posts of prestige and consequence. Though he retained the cherished title “Colonel” until his death in 1885, his active military career had long been ended. The assertions of several historians notwithstanding, Dennis had no connection with the military expeditions to the North-West in 1885, although his son, John Stoughton Dennis, Junior, also a surveyor, did. Colonel Dennis’ last opportunity to win his spurs in combat had ended ingloriously when he had fled from Red River to the safety of American soil in the numbing cold of a December day. In Red River, as in the Fenian raid, he had proved a poor commanderone too eager to commit himself and his men, one too eager to flee when his actions proved precipitate. Still, in the North-West it is true that he was in large measure the victim of McDougall’s actions and the dupe of Schultz and others who would have had him believe that the people of the territory were anxious to be rescued from Louis Riel and his rebels. The blame, for there is little credit to be shared, must be equitably apportioned. 1. For an extreme example, see: Herbert Fairlie Wood, Forgotten Canadians (Toronto: Longmans Canada Ltd., 19631. Chapter on Dennis. 2. The observation of a contemporary cited in Edmund B. Osier, The Man Who Had to Hang Louis Riel (Toronto Longmans, Green and Co, 1961). p. 62. 3. George T. Denison Soldiering in Canada, Recollections and Experiences by Lt-Col George T. Denison (2nd ed. Toronto, George N. Morang and Co, 1901), pp. 33, 35 and 89. 4. Public Archives of Canada (hereafter referred to as PAC), MG26 A. Macdonald Papers (microfilm), p. 89036. J. S. Dennis to J. M. Courtney Ottawa, 13 December 1881. 5. Denison, Soldiering, pp 89-90. 6. PAC, MG29 E74, John Colin Armour Campbell Collection, Official Reports of Colonels Peacocke. Lowry. Booker and Dennis, Captains Akers and McCallum,” [typescript], pp. 18-19, Captain Akers. Report, Montreal June 1866. 7. John A. Macdonald, Troublous Times in Canada. A History of the Fenian Raids of 1866 and 1870 (Toronto, W. S. Johnston and Coy. 1910). pp. 42-43. Dennis had earlier been instructed to establish a patrol of the river but that order did not give him license to desert his command. 8. Denison, Soldiering, p. 102. 9. Macdonald, Troublous Times, p. 43. 10. George T. Denison Jr. History of the Fenian Raid on Fort Erie with an Account of the Battle of Ridgeway (Toronto, Rollo and Adam, 1866), p. 90. 11. This is my reconstruction of events but each aspect of this incident was subject to controversy and widely different interpretations. 12. Denison, Soldiering pp. 100-01. 13. F. M. Quealey, “The Fenian Invasion of Canada West, June 1st and 2nd 1866” Ontario History, LIII, 1 (March, 1961). p. 57. 14. PAC RG9 IC8 Militia Records. Vol 7, L. McCallum to P. L. MacDougall, 30 June 1866. 15. Ibid., J. S. Dennis to Lieut. Col. Darie. Toronto, 15 August 1866. King was censured for his remarks. Ibid., J. S. MacDougall to Captain King, Montreal, 1 September 1866, draft. 16. For the charges, see, Macdonald, Troublous Times. pp 248-250. 18. Denison, Fenian Raid, p. 32. 19. PAC MG26 A, Macdonald Papers (microfilm), pp. 88692-95. J. S. Dennis to John A. Macdonald, Ottawa, 14 December 1878. Joseph Howard suggests that Macdonald was an “old friend” of Dennis Joseph. Kinsey Howard Strange Empire: The Story of Louis Riel, Martyr, Saint or Traitor? (Toronto, Swan Publishing Co., Ltd., 1965). p. 72. 20. Canada. House of Commons, Sessional Papers thereafter referred to as SP), 1870, Vol Ill, No 12, “Return to an Address of the House of Commons for Copies of Instructions to Surveyors,” p. 5, J. S. Dennis to Wm. 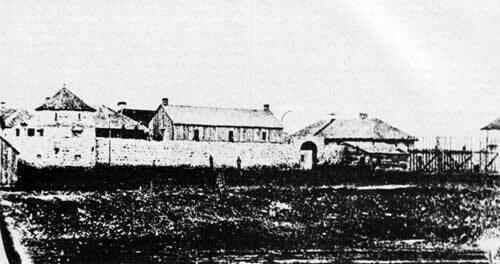 McDougall, Red River Settlement 21 August 1869. 21. Ibid., pp 7-8, J. S. Dennis to Wm. McDougall, Red River Settlement, 28 August 1869, and accompanying maps. 22. SP, 1870 Vol III. No 12, “Correspondence and Papers Connected with Recent Occurrences in the North-West Territories,” p. 7, Memorandum of facts and circumstances. J. S. Dennis, Red River Settlement, 23 October 1869. 23. Ibid., p 47. Extract of a letter from Governor McTavish to W. G. Smith. Fort Garry, Red River, 12 October 1869. 24. Macdonald quoted in Don W Thompson Men and Meridians, The History of Surveying and Mapping in Canada. Vol. II. 1867 to 1917 (Ottawa, Queen’s Printer, 1966) p. 15. 25. Public Archives of Manitoba (hereafter referred to as PAM), MG3 B5, Excerpts from letters (typescript). Father Dugast to Bishop Taché, entry for 24 August 1869. 26. SP, 1870, Vol. III. No 12. “Correspondence and Papers ...” pp 8-9. Memorandum of facts and circumstances.” J. S. Dennis, Red River Settlement, 23 October 1869. 27. Ibid., p.12, Memorandum, J. S. Dennis, 27 October 1869. Dennis provided Dease and his men with supplies. Begg declares that Dennis actually sent surveyors out to try to raise a force to bring McDougall in Alexander Begg. History of the North-West. Vol I (Toronto. Hunter, Rose & Co 1894). p 387. 28. University of British Columbia Archives, report of J. S. Dennis, 27 October 1869, pp 1-4 [typescript]. 29. Thompson, Men and Meridians, Vol. II, p. 13. These rifles did get into the colony. SP., 1870. Vol III, No 12 “Correspondence and Papers, p. 16. W. E. Sanford to Joseph Howe Hamilton, 18 November 1869. 30. PAC, C.O. 42 (microfilm). Vol 684, p 582. J. S. Dennis to the Minister of Public Works. Ottawa, 12 February 1870, copy. 31. SP 1870. Vol III, No. 12 “Correspondence and Papers, p 14. Joseph Howe to Wm. McDougall. Ottawa, 19 November 1869. 32. Ibid., p 41. Friends of Canada to Colonel Dennis, Winnipeg 12 November 1869. 33. Ibid., p 70. Wm McDougall to Joseph Howe. Pembina, 2 December 1869. 34. PAM, MG3 A1 #3. Proclamation, 1 December 1869. Appointment of Dennis as Conservator of the Peace. 35. PAC. CO 42 (microfilm). Vol 684. p 584, J. S. Dennis to the Minister of Public Works Ottawa, 12 February 1870, copy. 36. SP 1870, Vol. III. No 12, “Correspondence and Papers ..., pp. 106-07. “Record of Proceedings, J. S. Dennis. A later report had it that William Mckay [sic] told Dennis he should not incite one part of the population against another PAC, CO 42 (microfilm), Vol. 684, p. 21. Report of Wm. B. MacDougall, Pembina, 31 December 1869. Tait and McKay later disputed Dennis’ version of the interview. 37. SP, 1870 Vol III, No 12, “Correspondence and Papers ...,” p. 107. “Record of Proceedings ...” J. S. Dennis. 38. Ibid., p. 77. J. S. Dennis to Wm. McDougall, Stone Fort, Lower Settlement, 2 December . 39. Ibid., pp. 77-78. J. S. Dennis to Wm. McDougall, Stone Fort, Lower Settlement, 2 December . 40. PAC CO 42 [microfilm], Vol 684. p 366 Joseph Howe to Wm. McDougall, Ottawa, 24 December 1869. 41. SP 1870, Vol III No 12 “Correspondence and Papers ...,” p. 77. J. S. Dennis to Wm. McDougall, Stone Fort, Lower Settlement, 2 December . By this time Stutsman had fled back to Pembina. 44. “Diary of a Prisoner in Red River Rebellion,” Niagara Historical Society Publications, No. 25 (1913), pp. 35 and 37. 45. SP 1870, Vol III, No 12. “Correspondence and Papers ...,” p. 109, “Record of Proceedings ...,” J. S. Dennis. 46. Ibid., p. 118. C. W. Boulton to Colonel Dennis, Winnipeg, 4 December 1869. 47. Ibid., p. 110, “Record of Proceedings ...,” J. S. Dennis. 48. “Diary of a Prisoner ...” Niagara Historical Society Publications No 25. (1913), p. 39. 49. SP, 1870. Vol. 111. No. 12, “Correspondence and Paper ...” p. 118. C. W. Boulton to Colonel Dennis, Winnipeg, 6 December 1869. 50. Ibid., p. 119, Memorandum. J. S. Dennis. Stone Fort, 6 December 1869. 51. Ibid., p. 111, “Record of Proceedings ...,” J. S. Dennis. 53. Hartwell Bowsfield, ed., The James Wickes Taylor Correspondence. 1859-1870, Vol III of Manitoba Record Society Publications, ed. by W. D. Smith, p. 93. Malmros to J. C. B. Davis, 11 December 1869, Winnipeg. 54. SP, 1870, Vol. III. No. 12, “Correspondence and Papers,” p. 112, “Records of Proceedings ...,” J. S. Dennis. 55. “Diary of a Prisoner ...,” Niagara Historical Society Publications, No 25 (1913), pp. 39-40. Begg lists the names of forty-five who signed the surrender. Begg, History of the North-West. p. 415. Lamb reports that Schultz and his men booby-trapped the building they vacated. R. E. Lamb, Thunder in the North, Conflict over the Riel Risings, 1870...1885 (New York, Pageant Press Inc., 1957), p. 22. 56. SP. 1870 Vol. III, No. 12. “Correspondence and Papers ...,” pp. 118-119. C. W. Boulton to Colonel Dennis, 6 December 1869. 57. Ibid., p. 120, James Ross to Colonel Dennis, 6 December 1869. Dennis replied to this letter on the sixth. His reply is in the Ross papers, PAM. 58. Ibid., p. 111, “Record of Proceedings ...” J. S. Dennis. 60. Ibid., pp. 121-22, R. Rupert’s Land to Colonel Dennis, Bishop’s Court, 6 December 1869. 61. Ibid., p. 113. “Record of Proceedings ...” J. S. Dennis. Only rumour had it that the Métis were disposed to confer with McDougall. 62. PAM, MG3 Al #8. Proclamation of J. S. Dennis, Lower Fort Garry, 9 December 1869. 63. SP 1870, Vol. III, No. 12. “Correspondence and Papers ...” p. 113. “Record of Proceedings ...” J. S. Dennis. 64. PAM, MG3 B16-2, Patrick Gammie Laurie Papers. An account of P. G. Laurie’s experiences during the rebellion by Mrs. J. H. Storer, nd, pp. 11-12. 65. SP 1870. Vol. Ill. No. 12. “Correspondence and Papers ...” p. 125. J. S. Dennis to Wm. McDougall, Pembina, 17 December 1869. 66. Ibid., p. 113. “Record of Proceedings ...” J. S. Dennis. 67. Ibid., p. 123, [Joseph Marion] to Colonel Dennis, St Boniface, 8 December 1869. 68. PAC CO, 42 [microfilm]. Vol. 684, pp. 26-27. J. S. Dennis to Wm. McDougall, Stone Fort,. Red River Settlement, 9 December 1869. 69. SP 1870, Vol. Ill. No. 12. “Correspondence and Papers ...” p. 88. Wm. McDougall to Joseph Howe, Pembina, 8 December 1869. 70. Ibid., p. 124. J. S. Dennis to Wm. McDougall, Pembina, 17 December 1869. 71. PAM, MG3 B16-2. Patrick Gammie Laurie Papers. An account of P. G. Laurie’s experiences during the rebellion by Mrs. J. H. Storer, nd, p. 12. 72. PAC CO 42 (microfilm). Vol. 684. p. 24. Wm. McDougall to [Joseph Howe? ], Pembina, 16 December 1869. 73. SP 1870. Vol. III, No. 12, “Correspondence and Papers ..,” p. 124, J. S. Dennis to Wm. McDougall, Pembina, 17 December 1869. From this letter it might seem that Dennis had ordered the payment only to Prince and his men. 74. PAM, MG3 B15. Unpublished reminiscences of George B. Winthrop, Chapter VIII p. 6. 75. PAC, CO 42 (microfilm), Vol. 684. pp. 371-74. J. S. Dennis to Joseph Monkman. Pembina, 16 December 1869. 76. Lamb, Thunder in the North, p. 23. 77. PAM, MG3 B16-2, Patrick Gammie Laurie Papers. An account of P. G. Laurie’s experiences during the rebellion by Mrs. J. H. Storer, n.d., p. 16. [The editor’s comment]. Lamb suggests that about twelve of Dennis’ men were captured by Riel. Lamb, Thunder in the North, p. 26. 78. Thompson, Men and Meridians, Vol. II. p. 16. 79. PAC, C.O. 42 (microfilm). Vol. 684. pp. 585-86. J. S. Dennis to the Minister of Public Works, Ottawa, 12 February 1870, copy. Even Judge Black had assured the settlers that Dennis’ commission was legal. SP 1870, Vol. III. No. 12. “Correspondence and Papers ..,’ p. 117. C. W. Boulton to Colonel Dennis, Winnipeg, 4 December 1869. 80. PAM, Riel Papers (microfilm). #582, Petition of Louis “David” Riel to the President of the United States, 1885. 81. PAC, C.O. 42 (microfilm). Vol. 684. pp. 365-66. Joseph Howe to Wm. McDougall, Ottawa, 24 December 1869. 82. PAC, MG26 A. Macdonald Papers (microfilm), pp. 41232-35. J. S. Dennis to John A. Macdonald. Russell’s, 14 February 1870. 83. Ibid., pp. 41309-12. J. S. Dennis to John A. Macdonald, Weston, 3 April 1870. 84. Ibid., p. 88692, J. S. Dennis to John A. Macdonald, Ottawa, 14 December 1878. 85. SP 1870, Vol. III. No. 12. “Return to an Address ...,” p. 19. J. S. Dennis to the Minister of Public Works, Ottawa, 12 February 1870. 86. Thompson, Men and Meridians, Vol. II. p. 31.